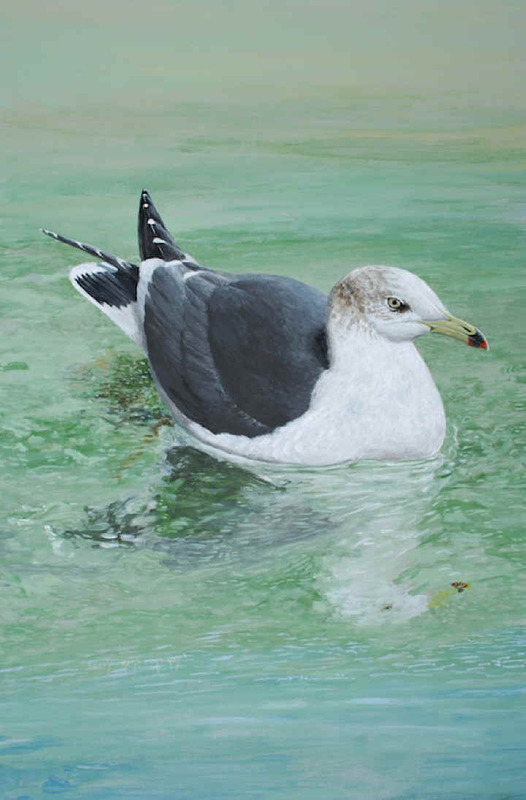 This painting shows a species of gull that is very common in parts of eastern Asia. I saw it in Japan. In fact, at the Kabushima Shrine at Hachinohe, Aomori, Japan, there is a shrine in honour of the species, and some 40,000 gulls nest there and in nearby areas, are fed by the tourists, and celebrated as a tourist attraction. They also will, like other gulls, follow fishing boats at sea. I saw them in Japan a number of years ago. They are showing up in North America from time to time, and one has been seen in Ontario. The bird in the painting is in winter plumage. 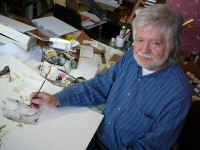 The painting is in acrylics on compressed hardboard. I found it charming and positive that the Japanese would set aside a sanctuary for this species and even venerate it. I love that sort of thing, so different from the constant demands I hear from people about wanting to kill this or that species.